Head over to Kinja Deals for the rest of today’s best deals from around the web. 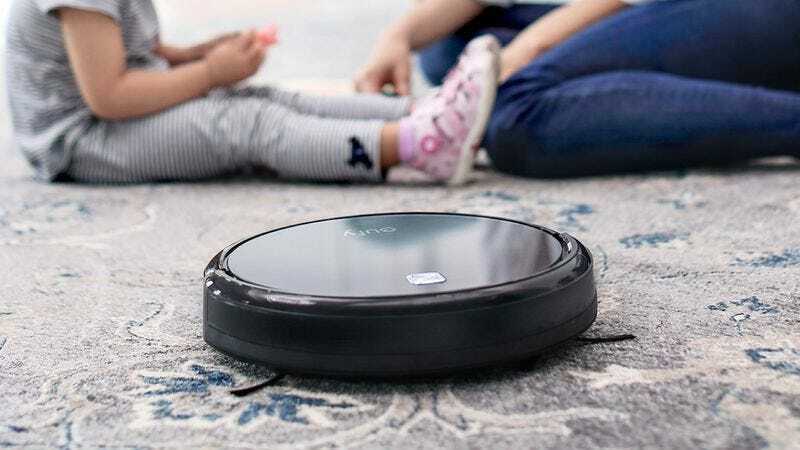 Anker (operating under its home-focused brand Eufy) just released the new RoboVac 11, and you can already save $44 with promo code NEWVAC01. Compared to the popular RoboVac 10, the 11 is over twice as powerful, includes a larger dust bin, and boasts a tempered glass top case, rather than plastic. Pound for pound, it stacks up very well with mid-level Roombas, but at $176, it’s far less expensive. Amazon’s Gold Box is full (15 pages full) of up to 50 percent off Calvin Klein clothing and accessories—everything from suits and sport coats for men to dresses and those famous CK undies for women. There are some really great winter coats as well. Anker’s original SoundBuds still hold the title of your favorite affordable Bluetooth headphones, but if you can’t get them to sit correctly in your ears, the new SoundBuds NB10s were designed just for you. The highlight feature here is the NB10’s wraparound design; once these things are in your ears, they’re not going anywhere until you take them out. They’re also IPX5 water-resistant (an improvement from the original’s IPX4 rating), pack in 12mm drivers, and include Anker’s hassle-free 18 month warranty. For a limited time, promo code ANKUSNB1 will take $8 off your pair, the best price we’ve ever seen by $4. Needless to say, these would also make great gifts. Your music game could teach you how to push a few colorful buttons on an oversized plastic controller, or it could actually teach you to play the guitar. Rocksmith does the latter, and it’s deeply discounted on Amazon today. Today only, you can pick up the base game for $30, or the game plus an actual Les Paul electric guitar for $130, both all-time lows. Either way, you’ll also get a special cable to hook up a guitar to your console, and let you start learning to play. Just note that this deal is only available today, and we’re not expecting any encores, so don’t miss out. In 2016, it only makes sense for surge protectors to include USB charging ports, and at $12, you don’t even need to pay a premium for the convenience. No matter how you want to mount your phone in the car, you can do it for $4 today, courtesy of Aukey. Even if you’re all set with these, they’d make awesome stocking stuffers.